MIDDLEBURY, Vt. – Middlebury has received a $310,000 performing arts grant from The Andrew W. Mellon Foundation to support “Movement Matters,” a multi-year interdisciplinary endeavor to bring emerging artists in the field of dance together with Middlebury faculty and students for creative and curricular development. Assistant Professor of Dance and Chair of the Dance Program Christal Brown will direct the project, which has been described as an “exploration of how human bodies literally and metaphorically shape our physical and political worlds.” Although the project will be based in the dance program, Brown says it will benefit all Middlebury students. 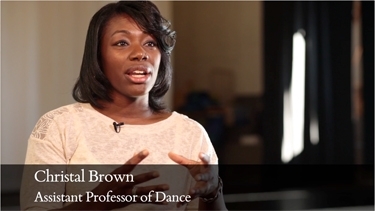 Video: Assistant Professor of Dance Christal Brown discusses the Mellon grant. The 3-year interdisciplinary grant will connect traditional scholarship with movement research across campus. 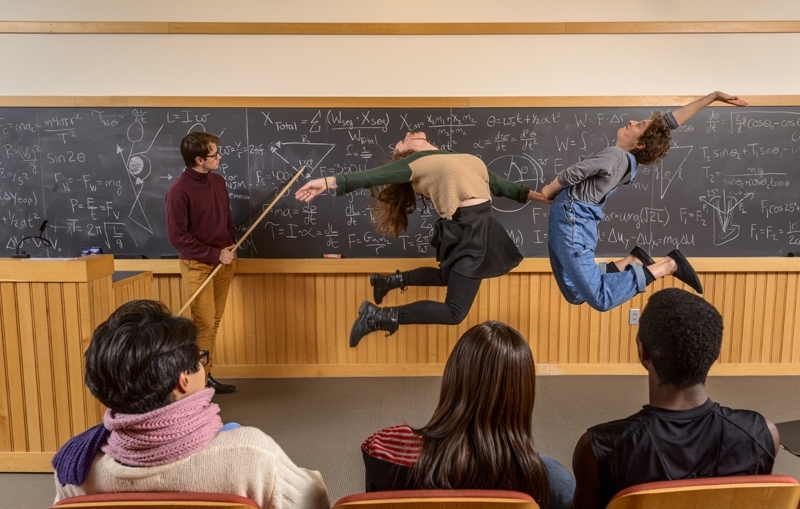 The three-phase project will bring a group of emerging movement artists to campus for Winter Term 2015, where they will collaborate with teams of faculty members in developing workshops around shared research interests. One of the artists will be appointed for a two-year residency as the Mellon Interdisciplinary Choreographer at Middlebury (MIC). The MIC will do research and work with groups throughout campus to develop creative collaborations in and out of the classroom. The MIC will also serve as the voice of the current climate of the field, as the dance program transitions through the retirement of two longtime and well-regarded faculty members, and suggest ways for creative expansion of the program.